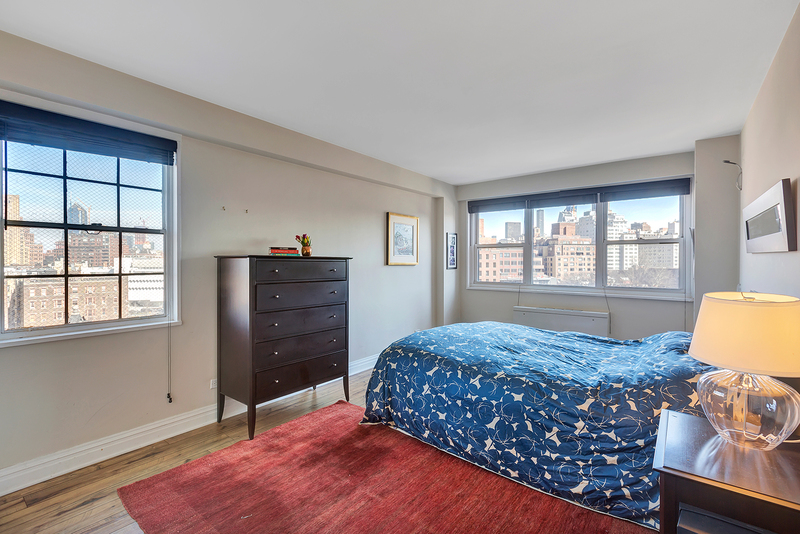 Located in a condo doorman building in the heart of the West Village on tree-lined Charles Street, this beautifully renovated one-bedroom apartment has stunning skyline views from all seven windows! Both the kitchen and bathroom are equipped with top-of-the-line appliances. 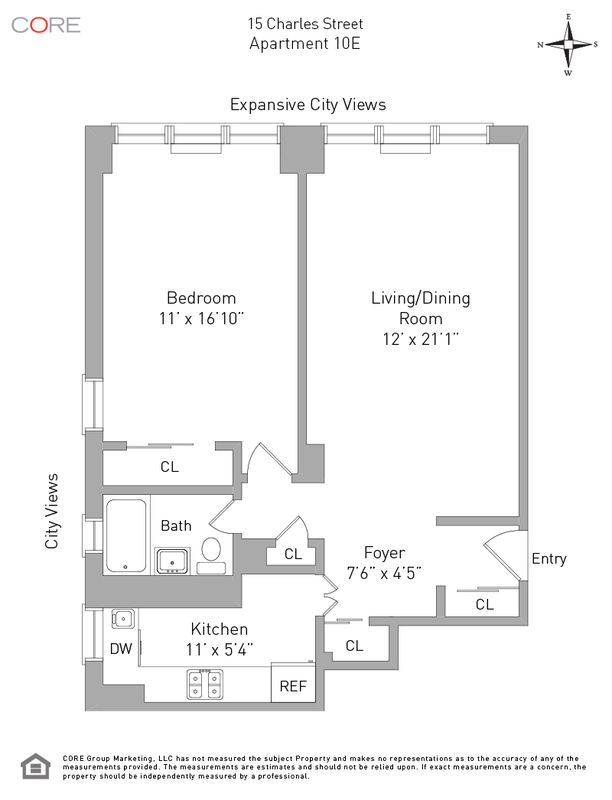 The bedroom is roomy and has both northern and western exposures. The large living room has room enough for a dining area. There are wide planked hardwood floors throughout, 4 closets, as well as in-wall air conditioning units in the living room and bedroom.